At least two Commission on Elections commissioners have revealed their extreme reluctance to award the contract to lease 93,977 new voting machines to election technology provider Smartmatic-Total Information Management (TIM) Corp.
Commissioner Rowena Guanzon said she voted “with great sadness” to award the contract for the lease of all-new optical mark reader (OMR) units to Smartmatic-TIM which she said had “pushed the commission to the edge,” forcing the Comelec to such a decision. “The commission is now burdened with time constraints in the preparations for the May 2016 national and local elections…. what is further deplorable in this whole state of affairs is that Smartmatic seemed to have taken advantage of the time constraint the commission is confronted with,” Guanzon wrote in her separate concurring opinion. 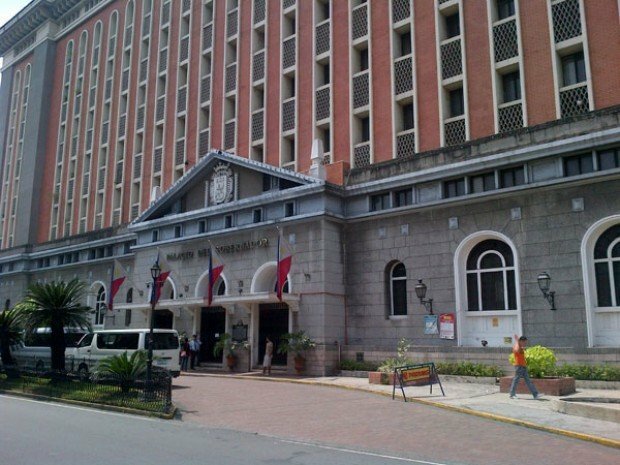 Until it decided last Thursday to rent all-new machines for the 2016 elections, the Comelec was considering two options: the reuse of refurbished 81,896 old precinct count optical scan (PCOS) machines that were used in previous elections, to be supplemented by 23,000 new OMR machines; or to use all-new OMR units of 23,000 and another batch of 70,977 OMRs. The first option was abandoned after the continued failure of the bidding for the refurbishment of the old PCOS units. Guanzon blamed Smartmatic for refusing to join the bidding for the refurbishment of the old machines, leaving the Comelec with no recourse but to go for the all-new option. Smartmatic earlier this month pulled out of the bidding for the refurbishment of the old PCOS units, saying it had doubts about the project’s feasibility because of time constraints considering that the 2016 elections were just a few months away. At the time, Smartmatic had already won the contract for the lease of 23,000 OMRs. The Comelec and Smartmatic-TIM are already in the final stages of the contract negotiations for the 23,000 OMR machines, which will cost the government P2.2 billion (P1.7 billion for lease, P500 million for the option to purchase). Smartmatic-TIM also won the bidding in late June for the second batch of 70,977 OMR machines that would be needed if the all-new option was adopted. But Comelec Chair Andres Bautista held off acting on the notice of award for the 70,977 new OMR units until after the refurbishing of the old PCOS units was successfully bid out. According to Guanzon, Smartmatic’s refusal to participate in the bidding for the refurbishment of the old PCOS machines pushed the Comelec to the edge, so that it was left with no choice but to award to Smartmatic the lease with option to purchase of the 70,977 OMR units, which she said the Comelec would not have preferred. “This is indeed tragic in the face of the hard fact that the commission still is currently in possession of 81,896 PCOS machines—which were leased and then purchased from Smartmatic [joint venture] and used during both the 2010 and 2013 elections at a total cost of P9,024,759,196.57—which remain unrefurbished and unmaintained,” she added. Guanzon also pointed out that “precious time was even put to waste” when the Comelec, under former Chair Sixto Brillantes Jr., entered into an extended warranty contract by way of direct contracting with Smartmatic for the refurbishment the old PCOS machines. The Supreme Court, however, nullified the contract for not going through public bidding. The high court ruling rendered the machines useless since these cannot be used without undergoing refurbishment. “Our hands are tied, but it is not of our own making,” Guanzon said. Sought for comment, Cesar Flores, Smartmatic president for Asia-Pacific, said that they respected the opinion of Guanzon but disagreed with her assertions. “It should be made very clear that Smartmatic had been proposing the refurbishment of the PCOS machines since 2013. Records will bear out the fact that we had been vigorously recommending this option as a means for the government to save money and to maximize its investment,” Flores said. “It is unfair to pin the blame on us when the reason why the refurbishment could not have been done in time were the interminable delays caused by all the legal cases and Comelec’s own actions or inaction,” he said. Flores stressed that it was not only Smartmatic that pulled out of the refurbishment bidding. “Other suppliers also had their reasons from staying away from the tender,” he said. “We did not push Comelec to the edge. We cannot be forced to offer services that we know to be disadvantageous to the government and would imperil the elections. If we would agree to refurbish the PCOS machines at this point in time, the delivery of the elections would be in grave danger. It should be noted however, that the refurbishment was still doable up until a few months ago,” he said. Former Comelec Commissioner Gus Lagman on Friday accused the poll body of meekly following Smartmatic’s lead. “Whatever Smartmatic wants, they’ll do,” Lagman said. “The repair and diagnostics should have been done lone ago, but they did not do it. Now they are using lack of time as an excuse. It’s their fault,” he said. “Part of the contract with Smartmatic is the training of Comelec staff on diagnostics and repair of the machines. Did they do that? If they did, then the trained people could have started the repair late 2014 and the whole of 2015,” he added. TAGS: Comelec, Commission on Elections, Rowena Guanzon, Sheriff Abas, Sixto Brillantes Jr., Smartmatic, Smartmatic- (Total Information Management) Corp.